Observation - Brown Moth - UK and Ireland. 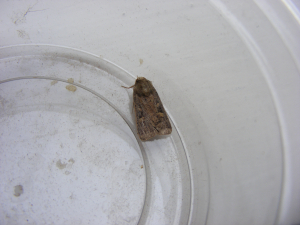 Description: Brown moth caught in trap. Suspect it s Square Spot Rustic colouring is very different to the last of those I had. Brown moth caught in trap. Suspect it s Square Spot Rustic colouring is very different to the last of those I had.